Divide dry potatoes between three - 2" half size foil pans. Sprinkle on shredded mozzarella cheese and 4 oz. Parmesan cheese. Toss to blend. 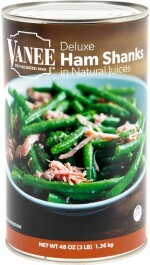 Gently break Ham Shank meat into large chunks. Prepare potatoes according to package directions. Bake for 30 minutes. 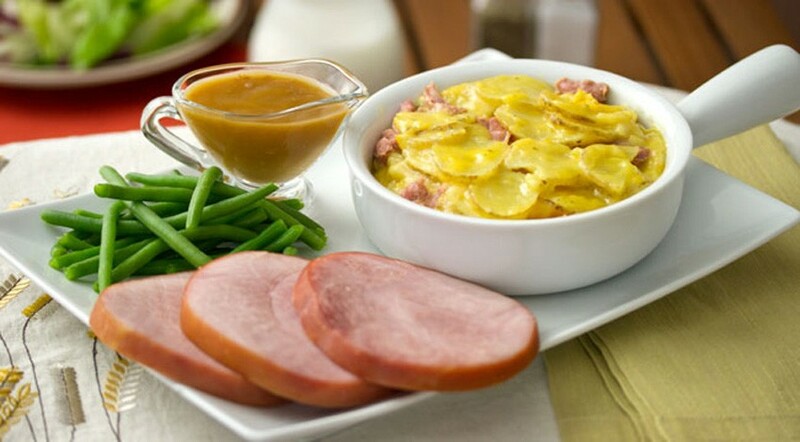 Remove pans from oven and gently fold in ham shank chunks. Sprinkle with remaining Parmesan. Return to oven and finish cooking.